We’ve collected these photos from all around the Web — scroll to the bottom for sources. They were taken at the real Jobs’ childhood home in Los Altos, where jOBS is currently shooting. 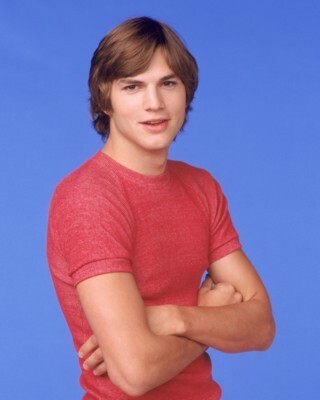 From some angles, Kutcher more resembles his earlier role on That ’70s Show than the young Jobs, for obvious reasons. But for the most part, the resemblance is uncanny. Gad doesn’t look nearly as similar to Wozniak, though he’s a strong enough actor that I’m still looking forward to seeing him in the part. I think the guy on the motorbike is Matthew Modine as former Apple CEO John Sculley — and a few other sites have indicated as such — but it’s tough to tell behind those sunglasses. What I’m really curious about, however, is the unnamed actor who looks like Gates. So far it doesn’t seem like anyone has been able to identify the actor, and as we haven’t heard any news about casting for the Microsoft co-founder, we can’t even be sure that this individual is actually playing him. jOBS is expected to get a release sometime this year. “JOBS” is the incredibly powerful and true story of the visionary who set out to change the world, and did. We follow Steve Jobs (ASHTON KUTCHER) from the enthusiasm and self-discovery of his youth through his darkest days, brightest triumphs, and the ultimate power of his drive, his passions, and his undying will to change everything we thought possible. Dark, honest, and uncompromising, “JOBS” plunges into the depths of Steve Jobs’ character, uncovering his driving motivations, his gifts, his flaws, his failures, and his ultimate successes. Directed by Joshua Michael Stern (“Swing Vote”, “Neverwas”), “JOBS” is an incredibly personal story covering nearly 40 years of Steve Jobs’ life and an intensely character-driven story that is as much a sweeping epic as it is a personal tale. An ultimately inspiring story, “JOBS” pulls no punches and does not speculate, only telling the truthful real life events as seen through his eyes, emotions, and ingenuity. The life of Steve Jobs.